Hours after a gathering of Afghan politicians was targeted by mortar attacks, gunfire and explosions, some of the political figures, who were at the ceremony, called on government to respond on the incident and questioned that how the attackers managed to infiltrate the area and disrupted the crowd. 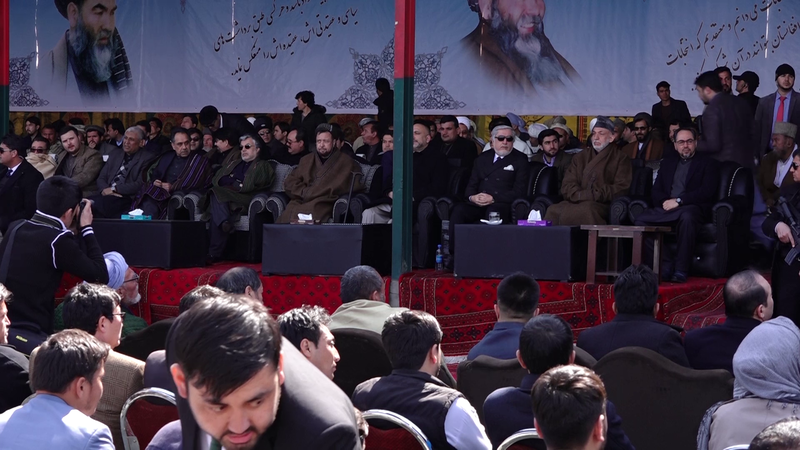 The first explosion heard when Chief Executive Abdullah Abdullah was giving speech at the gathering which marked the 24th death anniversary of Abdul Ali Mazari, the leader of the Hizb-e-Wadhat Party. Mohaqiq said such incidents show government’s weakness or it shows that “government is collaborating with such circles to use them as a tool against its political rivals in view of current sensitive situation”. Mohaqiq was dismissed from his post by Ghani last month after he joined the former National Security Advisor Mohammad Haneef Atmar’s team for the upcoming presidential elections. However, he continued to go to his office. In retaliation to Mohaqiq’s remarks, the Presidential Palace described the statement an "insult" to the Afghan security forces and the entire system. "Remarks by Mr. Mohaqiq is regrettable. It is an insult to the security and defense forces of the country and the system of the Islamic Republic of Afghanistan and an insult to the people of Afghanistan. The people of Afghanistan expect that Mr. Mohaqiq provide evidence to his claims to the people of Afghanistan," President Ghani's spokesman Haroon Chakhansuri said. Those who attended the gathering were Chief Executive Abdullah Abdullah, Acting Foreign Minister Salahuddin Rabbani, Mohammad Mohaqiq, former President Hamid Karzai, former National Security Advisor Mohammad Haneef Atmar, former Vice President Mohammad Yunus Qanooni, presidential candidate Abdul Latif Pedram, and other officials. Initial reports indicate that at least four people, including a woman, were killed and 19 others were wounded in the attack. The attack took place at around 12pm Kabul time and it was started when Abdullah was delivering speech at the ceremony. 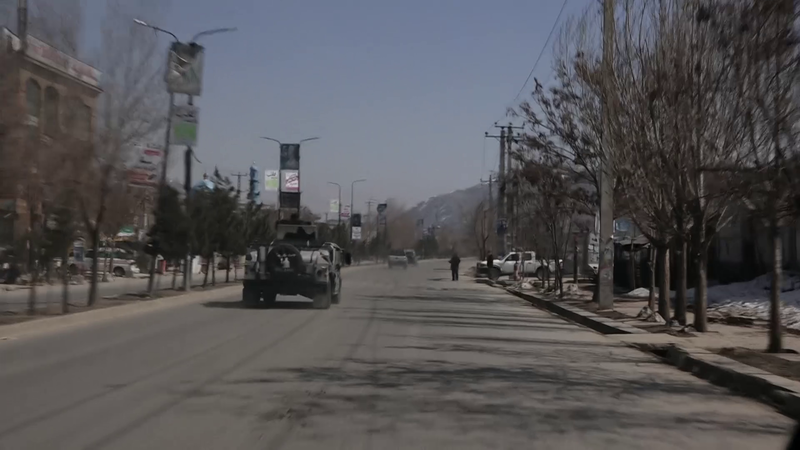 “This is one of the signs of the enemies of Afghanistan,” Abdullah said after the first explosion occurred and then he called the people to stay calm and the blast happened far from the gathering. No high-ranking official was hurt in the attack. But sources said that Abdul Latif Pedram, a presidential candidate and head of the National Congress Party of Afghanistan, sustained injuries in the attack. The Afghan political leaders including President Ashraf Ghani have condemned the attack as an act of terrorism and a move by the enemies of Afghanistan to disrupt Afghans’ unity. 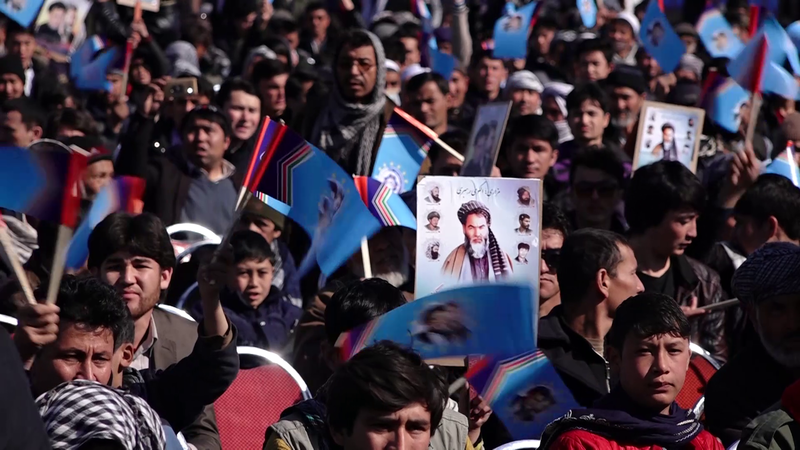 “The enemies today launched a terrorist attack on the martyrdom anniversary of the martyr of national unity Abdul Ali Mazari which resulted to the martyrdom and injury of some of our countrymen,” President Ghani said in a statement. Former President Hamid Karzai also condemned the attack and described it an act of foreign elements who oppose peace and unity in Afghanistan. Former president Hamid Karzai also condemned attack on political gathering in Kabul as ‘work of the foreign elements’ who oppose peace and unity in Afghanistan. 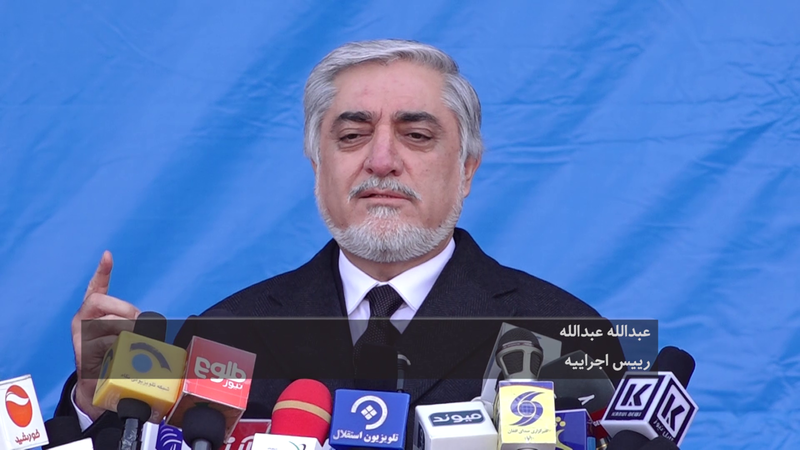 Chief Executive Abdullah in a statement condemned the attack and called it as “inhuman and barbaric and an act of terror” against the people of Afghanistan. “I strongly condemn the barbaric attack on the 24th martyrdom anniversary event for Shaheed Mazari today in Dasht-e-Barche in which I & many other public figures were also present. My thoughts & prayers are with all of our fellow citizens who were martyred & wounded in the attack,” Acting Foreign Minister Salahuddin Rabbani tweeted. National Security Advisor Hamdullah Mohib also condemned the attack. “The enemies of the people and the system who are seeking a chance to disrupt the peace and order for our citizens today launched missile attacks on the gathering the martyrdom anniversary of martyr of national unity Ustad Mazari and once again demonstrated their hateful face,” his NSC tweeted. Meanwhile, presidential candidate Mohammad Haneef Atmar condemned the attack and called it an act of terror. He said the attack needs to be probed by government. “Today our brutal and terrorist enemy launched an attack on the martyrdom anniversary of martyrs of national unity. Until now we do not have any information about the nature of the attacks and the casualties. But initial reports indicate that this attack was launched by a number of suicide attackers through using heavy weaponries. I strongly condemn this attack which was launched by the enemies of our people,” he said. Afghan politicians condemned the attack and called it inhuman and an act of terror.